Pause When Considering Diet Pills... Drug Companies Profit From Our Weight Loss Obsession. What is the fascination with diet pills and diet Formulas? When it comes to diet pills, it seems people will ingest anything. I often ask myself how can humans be so gullible and take so many health risk chances for quick results. Understand this...PILLS ALONE WILL NOT WORK! I am by no means a doctor of medicine, so before I say pills or diet formulas don't work, I will say they may indeed work if used properly as an aid to weight loss. What I don't like about diet pills is many companies mislead people into believing if you take this pill alone you will lose weight. When the reality is your only suppressing your appetite which leads you down the wrong path and is not a healthy way of dieting. If properly used, I do believe they can assist in dieting and be affective but the answer to healthy weight loss is not found in a capsule. That will only set you up for failure. There's no pill or formula that exist which will allow you to eat how you wish, do a little exercise and make you effectively lose weight. Many people in the world today are searching for a way to lose weight. It can be a very long and difficult process, and many people want a fast and easy way to lose unwanted pounds. Dieting pills have become the number one choice of weight loss products in the world today. Walking down the isle of any drug store, you will find many different kinds of dieting pills. Each one containing ingredients that the manufacturer claims will assist you in losing weight, and there are some that are very expensive. Dieting pills are regulated by the food and drug administration. The FDA has classified these pills as dietary supplements. For this reason, they are sold over the counter and not as a prescription. Most pills contain some kind of stimulant that suppresses the appetite for extended periods of time. Since the FDA banned Ephedra, diet pills contain caffeine and a combination of vitamins that speed up the metabolism and curb hunger. Dieting pills have proven to be an effective method of weight loss. If you are hesitant about using stimulants, visiting your local health and nutrition store will yield you almost as many choices for diet pills as the other stores only these pills contain all natural ingredients. It is important that you consult your physician before you start taking diet pills. He or she will examine you and determine if it the right course of treatment for you. More than likely, he or she will recommend that you make dietary changes and incorporate an exercise routine into your lifestyle. This will make you lose weight faster. It is also important that you understand that diet pills are a short term solution for weight loss. Statistics show that over ninety percent of those who use pills alone to lose weight gain back the weight that they lost plus additional weight. Beware of false claims the saying goes...If it sounds to good to be true, it is. I would never recommend suppressing your appetite. This is going against what your body does naturally and it isn't healthy for you. The best solution is to turn your body into a calorie burning machine. That means doing it the natural and healthy way. No pain, no gain and there is no simple answer to weight loss. 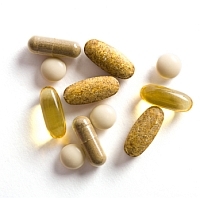 While the long-term effects of most weight loss supplements are unknown, even taking such supplements for a little while may cause some rather unpleasant side effects or, in severe cases, could result in death. According to a 2002 report in BusinessWeek, one popular weight-loss supplement at the time contained the herb ephedra, which studies believed to be the cause of more than 80 heart attacks, seizures and strokes. That doesn't sound very promising for dieting pills, does it? Finally, two years after ephedra was linked to a host of health problems, the FDA officially banned the sale of weight loss supplements containing the herb. Unfortunately, that doesn't do much to eliminate the potential dangers of weight loss drugs. Why? Because diet pills are addictive, and few people realize this potential pitfall in their quest to lose weight. Not only can pills become physically addicting, consumers can also become emotionally attached to the drug itself and believe they have to take it in order to lose weight. On a heartbreaking Dr. Phil episode, one young woman described her addiction to dieting pills, both mentally and physically. The woman abused diet pills and often took more than the recommended dosage in order to "speed up" the process. According to Dr. Phil, this puts diet pill abusers at serious risk for kidney and liver failure, heart attacks, and hypertension. Additionally, overdosing on dieting pills can increase your risk for a host of additional problems such as irritability, anxiety, insomnia, headaches, excessive sweating, infections, high blood pressure and dizziness. If you are intent on using a weight loss supplement, it's important to speak with a licensed physician who can educate you about the various types of diet pills on the market. Never take a weight loss supplement without talking to your doctor, and always follow the directions on the label exactly. If you don't, you could end up paying for it with your health  or, in severe cases, with your life. Leave Diet Pills and Return to Home Page.